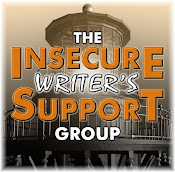 Alex J. Cavanaugh: Did You Know...? Very interesting Alex.enjoyed the read. Interesting post. Just goes to show some people will sue for anything. If it didn't shut down, they'd sue because the sun damaged their iPad. I think the iPad had better remove the commercial showing their product being used by a sun bather on the beach too. Really, a remake of Total Recall should be titled Total Redundant. Does that mean that Futurama has "jumped the Sharktopus?" I am so waiting for Sharktopus! Thank's for the quick update on all things important...especially Geddy Lee's birthday, wow, 57! Somebody tell the studios to STOP remaking (destroying) classic movies! Mason, exactly! Those people would sue either way. Isn't it lame, Chuck? Hollywood is so out of original ideas - or they refuse to take a chance on one. Good information here. Everyone is always suing for something. It is crazy. Now what's wrong with the original Total Recall??? Stop remaking older movies, especially the ones that aren't that old!!! I've got a Nook and it can be read in direct sunlight. It kind of reads like a book but I do get some glare off of the "matte finish" screen. I can't wait till spring. I'll be looking into the New Rush CD. I've always loved the music of Rush, especially the older stuff back when Neil Pert was going through his science fiction phase. Very interesting, oh you had to mention that "Sharktopus!" Did you hear Steve Tyler (Aerosmith) may hang it up? I can't believe people are suing over that. That’s incredible. No I DIDN'T know ... a LOT of this stuff. Thanks for telling me! I've also seen that news on Len doing TOTAL RECALL last week as well. It will be a flop. Just like Mel Gibson doing new LETHAL WEAPON will be flop if it really happens. Oh man, that frickin' awesome. I want an iPad now just so I can sue Apple over it. Gotta love people who will take any opportunity to exploit others. JL, the new Rush will be just as amazing as all the other albums. And I'm sure you don't sit in 100 degree, humid sunlight for hours on end, either. That would bake your brains as well as fry your electronics! Jules, that's news to me! Talli, you are never lame. Sezz, Shannara movie would be awesome! RaShelle, he was my favorite fantasy writer when I was a teen. I even met him once! I don't know, leaving a book in direct sunlight is sure to start it on fire, right? I know I'd shut down in that sort of heat for an extended period of time. Also, question for you: what is a sharktopus? Octopus/Shark combination? And why is that special? Did I miss something? Some people will sue over anything! Crazy! What's worse? Someone who wants to sue for such a reason, or the lawyer who takes the case? The answer? A class action lawyer who sets up the case...which is what I suspect happened here. To answer your comment on my SHANNARA post over at HOLLYWOOD SPY, it was just a rumor, and as far as I know the rights are sold, but who knows when will the movie really happen and will it ever. I think that more than 80% of rights bought for the adaptation are never really realized later on. But at some point we will need a new fantasy epic in cinemas, and SHANNARA might be it. I liked Total Recall. Perhaps they're making it in 3D. Seems like every movie is in 3D nowadays. Clarissa, it's an upcoming movie from the SyFy Channel and it looks awful! I posted the trailer a few days ago - scroll down and you'll see it. Liza, it's a lame reason to make money! Thanks for all the news in this post. I guess those marketers really have to watch what they say! yes, that is very lame movie news. Just let it die. The iPad suers sound like total nimrods. People sue for the silliest of reasons. I didn't know a lot of this. Nice post. That is a petty law suit if ever I heard one but you are right - a massive change in advertising is about to occur. 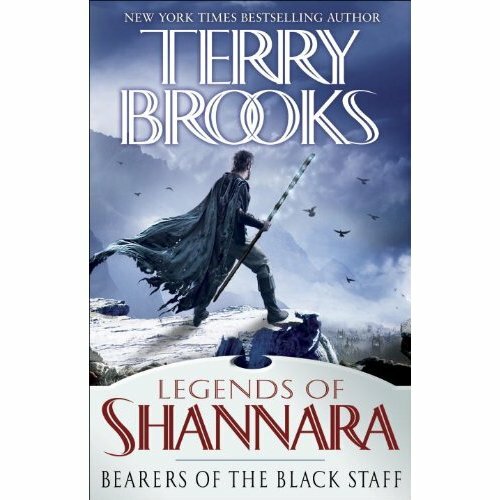 I have to admit I'm kind of over Shannara at this stage and probably won't be rushing out for this Terry Brooks' novel, which is a shame because I really like his writing style but I just feel like we've read everything in the various Shannara books before. Sometimes I hate people. It seems they'll sue over any little thing when there's no harm done to them... they're just greedy! Thanks for visiting, Susan! Yeah, I'm a total movie geek. Cassandra, my passion for Terry Brooks has faded over the years as well. I'll still probably pick it up, though. Hmm, they should sue Apple because it didn't say the iPad could also be used as a lap warmer and that wasn't in the instruction manual as an added perk. Sharktopus. *snort* I love Futurama. I complain when I get in heat 95 degrees and higher. In face, I have been known to shut down too. Can Apple help me out? Awesome new stuff! Too bad people will sue for almost anything and the system supports it. Don't have an iPad. 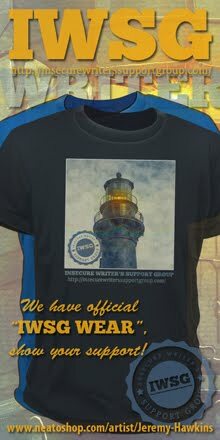 Wanted one. Now I'm waiting to see what's next. A few more generations down the road will be the e-reader combo made for me. I hope. Nicole, you will love the iPad when you get it! And that's cool you met Anthrax. Betty, I'm sure the same instructions apply - remove to cooler temperatures and unit will begin functioning normal soon. Thanks for all this info. Had never heard of Sharktopus. Apparently I was out of the loop, but not anymore! That lawsuit is ridiculous; people will sue over anything. And we wonder why the cost of everything is so high, too many lawsuits over silly things. Thanks again for compiling this info for us. I'm looking forward to seeing Sharktopus -- looks like my kind of stupid. Now over to see what's happening on Stephen's blog. Karen, you gotta stay on top of this Sharktopus business! Lee, I like that assessment. I, for one, am really looking forward to reading books on my iPad - I'm already so hooked on reading on my iPhone! Oh, wow! Enjoyed your trip through the news. The iPad lawsuit is crazy, but not surprising when we think of previous ridiculous lawsuits. How JUST like it book does it have to be? May I sue because I can't reach in and turn the pages? I think they remake "Freaky Friday" at least every ten years. Every generation needs it. In fact, aren't we due for a new one? I think Lindsay Lohan and Jamie Lee Curtis did the last version. Bell, you will enjoy books on the iPad! Such a big screen. Theresa, yes they did - want to take a stab who will take the roles next? Reboot of Total Recall? Is that what this world is coming to? I hope Arnold makes a cameo. Futurama is awesome. As is Total Recall and Sharktopus. I had to buy the Rush single from iTunes to tide me over. 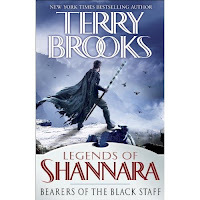 I was a little surprised that Terry Brooks is still going back to the Shannara world. I read the original book when it came out in the late seventies. I tried one of his sequels in the nineties and found I was not as willing to immerse myself into fantasy fiction anymore. Those Ohmsford (I think that was the surname of the leads in 'Sword') had a lot of offspring, I'd guess. I wonder if the same Druid is still poking around?